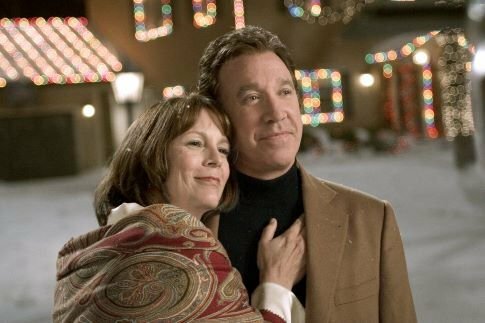 "Christmas with the Kranks" stars legendary funnyman, Tim Allen, as Luther Krank, a man who, along with his wife, Nora Krank (Jamie Lee Curtis), decide to forgo Christmas, as their daughter in away working for the Peace Corps. The couple plan a Caribbean cruise instead, as they live in a very cold part of America. However, through a strange, yet funny turn of events, the couple's trip is thrown in disarray, via their neighbor's who are dismayed the Kranks cancelled Christmas. May I just say, they could have gone on the Caribbean cruise first, then returned in time for Christmas, problem solved. However, the whole town redoubles their effort to keep the family there, which devolves into hilarity. It was a funny movie. "Christmas with the Kranks" is a secular film, where the emphasis is on Santa Claus and materialism, rather than the birth of Christ. The Celluloid Film Review believes Christmas should be about our Lord and Savior Jesus Christ, as that is the reason for the season.